While country's growth is picking up again, there is the issue of oil prices, Rajan noted. The bankruptcy code, Rajan asserted, cannot be the only way to clean up the banks. Notes Ban and the Goods and Services Tax (GST) are the two major headwinds that held back country's economic growth last year, former RBI Governor Raghuram Rajan has said, asserting that the current seven per cent growth rate is not enough to meet the country's needs. Addressing an audience at the University of California in Berkley on Friday, Rajan said for four years -- 2012 to 2016 -- India was growing at a faster pace before it was hit by two major headwinds. "The two successive shocks of demonetisation and the GST had a serious impact on growth in the country. Growth has fallen off interestingly at a time when growth in the global economy has been peaking up," he said delivering the second Bhattacharya Lectureship on the Future of India. 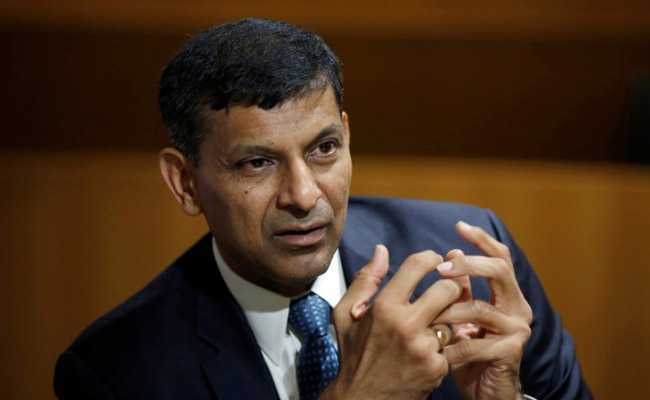 A growth rate of seven per cent per year for 25 years is "very very strong" growth, but in some sense this has become the new Hindu rate of growth, which earlier used to be three-and-a-half per cent, Rajan said. "The reality is that seven is not enough for the kind of people coming into the labour market and we need jobs for them, So, we need more and cannot be satisfied at this level," he said. Observing that India is sensitive to global growth, he said the country has become a much more open economy, and if the world grows, it also grows more. "What happened in 2017 is that even as the world picked up, India went down. That reflects the fact that these blows (demonetisation and GST) have really really been hard blows...Because of these headwinds we have been held back," he said. While the growth is picking up again, there is the issue of oil prices, the economist noted referring to the huge reliance of India on import of oil for its energy needs. With the oil prices going up, Rajan said things are going to be little tougher for the economy, even though the country is recovering from the headwinds of demonetisation and initial hurdles in the implementation of the GST. Commenting on the rising Non-Performing Assets (NPA), he said the best thing to do in such a situation is to "clean up". It is essential to "deal up with the bad stuff", so that with clean balance sheets, banks can be put back on the track. "It has taken India far long to clean up the banks, partly because the system did not had instruments to deal with bad debts," Rajan said. The bankruptcy code, he asserted, cannot be the only way to clean up the banks. It is the only one element of the larger cleanup plan, he said and called for a multi-prong approach to address the challenge of NPAs. India, he asserted, is capable of a strong growth. As such the seven per cent growth is now being taken granted. "If we go below seven per cent, then we must be doing something wrong," he said adding that that is the base on which India has to grow at least for next 10-15 years. India, he said, needs to create one million jobs a month for the people joining the labour force. The country today is facing three major bottlenecks. One is the torn infrastructure, he said, observing that construction is the one industry that drives the economy in early stages. "Infrastructure creates growth," he said. Second, short term target should be to clean up the power sector and to make sure that the electricity produced actually goes to the people who want the power, he said. Cleaning up the banks is the third major bottleneck in India's growth, he said. Part of the problem in India is that there is an excessive centralisation of power in the political decision making, he said. "India can't work from the centre. India works when you have many people taking up the burden. And today the central government is excessively centralised," Rajan said. An example of this is the quantum of decisions that requires the ascent of the Prime Minister's Office, he said.